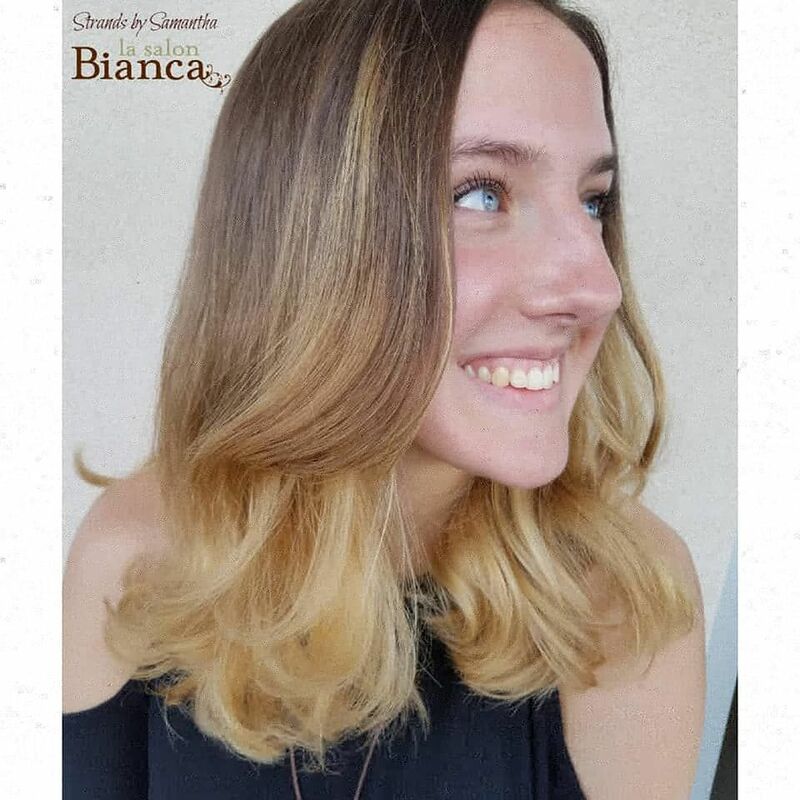 Check out this warm blonde balayage that our Tier 1 Stylist, Samantha created! Perfect look to keep her hair bright and vibrant during the last of the warm weather. Samantha's client came in with virgin uncolored hair and she decolorized the hair in a hair painting technique in order to give her a soft and natural transition. She then toned her with golden and chocolate tones! Doesn't Lily look stunning in her new color? !